Wow!! Masala pa is my all tiem favorite. I have had only in hotels, i will surely try this. 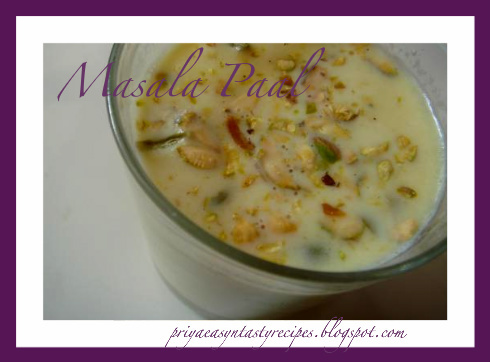 Looks delicious with nuts and spices, I have tasted masala cuttermilk but not the regular milk..Nice recipe. I make too but definetly not in half and half , reminds saravana bhavan! bookmarked to try priya.. really very tempting. 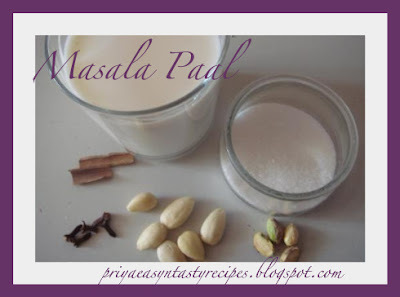 who doesn't like masala paal..
cloves with try it in ur way soon!! !